2 What is Being Underweight? 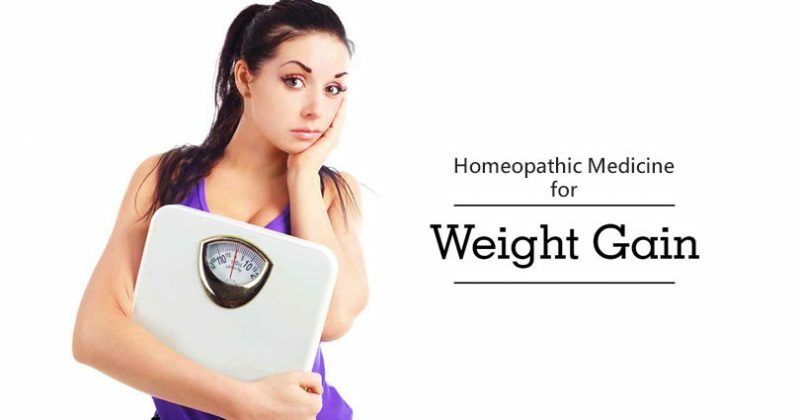 In this post, I shall discuss the best homeopathic medicine for weight gain or top homeopathic remedies for weight gain. A person whose weight is below the range which is considered normal as per his or her height and age is known as underweight. Frequent physical activity. People who remain involved in physical activity such as running lose body weight. High metabolism. Some people have a high metabolism that is why they do not get weight after eating enough food. There are a few medical conditions that play a vital role in losing weight and the person falls in the category of underweight. A person who is depressed can also lose weight and it is a psychological cause of being underweight. Homeopathic remedies for weight gain are helpful for people who want to gain weight. Homeopathy has a plenty of medicines that can help the person to gain weight in a healthy way. The selection of homeopathic medicine for weight gain depends on the individual cases presentation. The medicines not only help in gaining weight but also build the immunity. In addition, homeopathic mode of treatment will treat the underlying medical condition that has caused the weight loss and will improve the overall health condition of the patient. Alfalfa is basically an arabic word that stands for ‘father of all foods’ and it is not only used by Arabs for themselves and their horses but their sprouts are also being used by Chinese. Homeopathic medicine Alfalfa improves the appetite of the patient and helps him gaining weight. It has the ability to take care of the weakness caused by IBS, Typhoid fever, TB, Diabetes, malnutrition and indigestion. It stimulates the appetite, gives energy and fights against infections that lead to weight gain. In addition, it also helps the production of fat and reduction of tissue waste. Iodum is the top rated homeopathic medicine for weight gain. It is an ideal medicine when the patient continues to lose weight even after having a balanced diet. Such people have a good appetite and eat well but still lose flesh. They look emaciated and thin. Great nervousness, weakness and heated sensation are experienced by the patient. It is also an ideal homeopathic remedy for those people who have an overactive thyroid gland. It is considered as one of the best and effective homeopathic remedies for gaining weight in these cases. Natrum Mur is another homeopathic medicine for weight gain in people who lose weight and start to look emaciated because of depression or grief. Patients who need Natrum Mur suffer from severe depression. They constantly dwell on the past and cut off from society. Crying and lack of self care are main symptoms. Such patients avoid meals and look extremely thin. Natrum Mur is beneficial to get over depression and restores good health in these cases. China is the best homeopathic medicine for weight gain in patients with long standing diarrhea. Such people have marked weakness, low weight and fainting spells. Bloated abdomen and excessive flatulence are other symptoms. Homeopathic remedy China allows you to regain the healthy state that has been ruined due to chronic diarrhea. It is top rated homeopathic medicine for weight gain and restores good health in this category. Calcarea Phos is an ideal homeopathic medicine for gaining weight in patients who have weak bones with weight loss. The bones are brittle, thin and prone to fractures. Calcarea Phos strengthen the bones and helps the patient to gain weight at the same time. Calcarea Phos is also useful in people who have weak spine disposed to curvatures. It is also an extraordinary homeopathic remedy to promote weight gain in underweight children who are thin, emaciated and show weak and tardy development. The child also displays late dentition and slow development of speech and is also slow in learning how to walk. Lycopodium is one of those homeopathic medicines who correct the digestive imbalances in human body. If you are unable to gain weight because of the weakening of liver function, Lycopodium is an ideal medicine for you. There are some people who binge food when they are depressed but there are some who show aversion to food. if you want to get rid of this condition and gain weight, you need to try Ignatia Amara. Homeopathic medicine Ignatia Amara will help you to treat eating disorders and indigestion that occur due to depression. In underweight patients who are also anemic, Ferrum Met is one of the ideal homeopathic medicines for weight gain. Such patients also complain of lack of stamina, weakness, pallor of face, debility, blue circle around the eyes and palpitations on exertion. Bleeding tendencies may also present. Ferrum Met is excellent prescription for gaining weight in such cases. Dr.saib aslamalaikum……could you kindley email us your clinic adress with your phone no.please. thank you.